email us at PrismBookTours(at)gmail.com with "Rock Star GF" in the subject line. for a discounted price, and enter the giveaways. Check it all out below! Few people know that socially awkward Adrian Hart is actually rock god Kent Downer, and that's the way Adrian likes it. His privacy is essential, especially now that he has guardianship of his orphaned, ten-year-old niece, Kate. But when the nanny quits in the middle of his tour Adrian finds himself in a bind. SALE! What Goes on Tour for $2 (50% off)!! Purchase through Momentum's store from April 8-15. 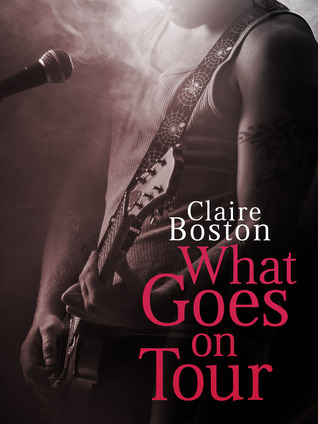 What did author, Claire Boston, say about what she hopes readers take away with them after they've read What Goes on Tour? I’d love it if readers enjoyed the novel and maybe took with them that people are often different from their public persona. All the better to observe the rock star. She needed the distraction. He was attractive, if you went for the bad boy type, with his designer stubble and dark brooding eyes. Libby imagined some women would get a thrill to have those eyes focused on them, even for a moment. 7) Which of your characters do you favorite and why? That’s like asking a mother who their favourite child is! There are things I love about each of them but I guess if I had to choose, Adrian would be my favourite in What Goes on Tour. He was such an interesting character to get to know and I liked working through his issues with him. ...I also contacted my favourite talk show and asked what happens behind the scenes, before the show is aired. Were there rehearsals? How much makeup had to be applied? What happened after the show? Again there was a really useful response, explaining everything that happened and I realised I had to make a couple of adjustments to my story to incorporate them. "Well done. No, very well done. It's not often I find a romance that captures me like this. This is romance in its purest form without being mushy." What was the inspiration for What Goes On Tour? The question should probably be who was the inspiration for What Goes on Tour and the answer is Marilyn Manson. I was watching a music video show on television and Marilyn Manson appeared. I wondered what made him create his persona and from there my mind drifted off into a series of ‘what ifs’ and day dreams. It only took about five minutes sitting on the couch to come up with Adrian/Kent and the story progressed from there. Each writer has their own process, their own way of building a story and it can evolve over time. I have friends who plot everything and those who plot nothing and both work for them. And that’s what it’s about. You have to find a process that works for you. I’ll still try out different methods when I hear about them to see if they can work for me and sometimes they do and sometimes they don’t. But no matter what my writing process involves, one thing remains constant – the love of writing itself. I’ve just finished the dirty draft of a contemporary romance. It’s based around childhood sweethearts who split up just after high school and have just been reunited. That’s a tricky question because when I’m writing, I constantly fight the urge to make the situation too easy for my character or to have them act like I would act. If I was Libby I would have stood up for myself a lot quicker than she does. If I had to give one piece of advice to aspiring authors it would be to never give up. Nothing happens quickly in this industry and you need to learn your craft before you get to the submission stage. Even after that, it’s very subjective so you need to persevere until you get your manuscript in front of the right person. Who is he? Marilyn Manson. What if it was the only way he could perform in front of people? What if he was nothing like the character he portrayed? What if he was the exact opposite? What if it was his way of hiding from the world? "It is well written with fully-fledged characters, and a happily-ever-after ending. I would recommend this to those who enjoy Adult Romance." Libby shifted in her chair and his intense brown eyes met hers. Her heart jolted. He looked slightly horrified, though much friendlier than the cheetah last night. The surprise was a shooting star across his face. I’ll admit I don’t listen to music when I’m writing. I find it distracting and if I’m having a particularly difficult writing day then I find myself singing along to the songs rather than thinking up what should happen next. Having said that, songs often inspire ideas or help me set the mood for a scene, so I will listen to playlists to help me stay in the mood. When What Goes on Tour first came out I decided to have a book launch. It was reasonably low key, at the local library, with about 70 friends, family and writing and reading enthusiasts attending. . . . wouldn’t it be great if we could get a real rock star to play as people arrived (because a rock star would really love to perform for free at a debut author’s small book launch!). . . . instead I put together a playlist of rock tunes to set the mood of the night. . .
Libby was just Libby, interesting and kind. And that was another problem. He couldn’t deny he was attracted to her and he had to add that to the equation. The nanny he hired had to be the best for Kate’s well being and nothing to do with him. He’d promised himself he wouldn’t hire anyone he was attracted to. But he also didn’t have a lot of choice. Adrian turned to Libby and was more hesitant. “That is, if you don’t have any work of your own.” His gaze was sincere. The first time Libby meets Adrian, he’s dressed as his alter-ego Kent and this is what she sees. When she meets him again, as Adrian, this is her impression. He was the same height and build as the rock star but that was where the resemblance ended. His dark hair was combed flat, and his white muscle T-shirt and blue jeans made him look like the boy next door. "The plot was more complex than I originally thought it would be and I enjoyed it. There were some twists and turns and I knew how I wanted it to end, but wasn't sure if it would turn in that direction. . . . If you enjoy contemporary rock 'n roll adult romance, this is the book for you!" He got her so flustered, being so close. She turned to put some distance between them but stopped as he took her hand. Heat rushed up her arms. Adrian drew her closer to him. Her heart slowed and beat heavily in her chest. “You’ve helped me a lot in these few short days.” He took her other hand so she was facing him directly. What was he doing? She had to stop this. When Kent has an anxiety attack, he uses the image of Libby to help calm himself. “Kent closed his eyes and focused on the sensation, visualizing her face; her emerald green eyes, her small nose, her hesitant smile and the straight, chocolate brown hair that fell past her shoulders. Then a little later in the story he sees her again, in a far different light. “She was wearing a black leather jacket and green top that made her eyes more emerald, but it was the skinny-leg jeans and high heels that attracted his attention. Where the heck had those legs come from? They went on and on and the jeans clung to them like a second skin. Within the first two chapters of What Goes on Tour, I was hooked. It was interesting to see how Adrian/Kent's and Libby's relationship unfolded, and because it wasn't rushed, it felt believable. I think that's a contributing factor of why I liked both characters. 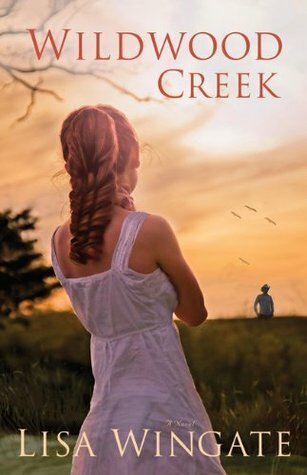 This novel was well-written – the plot was interesting and entertaining; the characters were by and large believable. . . . I kept turning the pages even when I should have gone to bed, because bedtime came around just as I was reaching the part where the scandal subplot was unfolding, and I had to keep reading to find out what would happen next. This being the author’s debut novel, I’m doubly impressed with it, and can’t wait to read her next book! If you were to adapt this book for the big screen, who would be in your dream cast? I’ve been asked this question a few times and every time I come up with a different answer! There are so many talented actors and actresses out there. For Adrian I’d probably go with Benedict Cumberbatch; for Libby, Rose Byrne; and for Kate, Annie Rose Buckley. Claire Boston was a voracious reader as a child, devouring anything by Enid Blyton as well as series such as Nancy Drew, Trixie Belden, The Baby-sitters Club and Sweet Valley High. Then one school holidays when she’d run out of books to read her mother handed her ‘Hot Ice’ by Nora Roberts and Claire instantly fell in love with romance novels. The love of reading soon turned to a love of writing and she struggled to keep within the 1500 word limit set by her teachers for her creative writing assignments. When she finally decided to become serious about her stories she joined Romance Writers of Australia, found her wonderful critique group and hasn’t looked back. 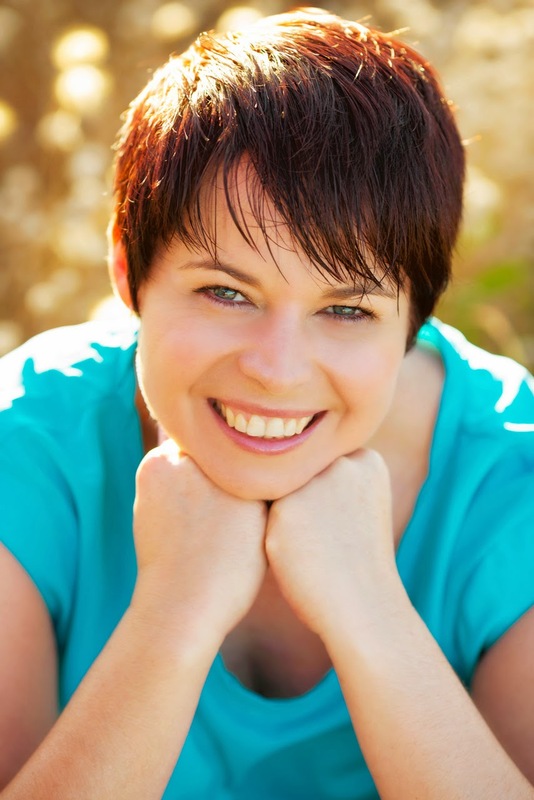 Claire lives in Western Australia, just south of Perth with her husband, who loves even her most annoying quirks, and her two grubby, but adorable Australian bulldogs.